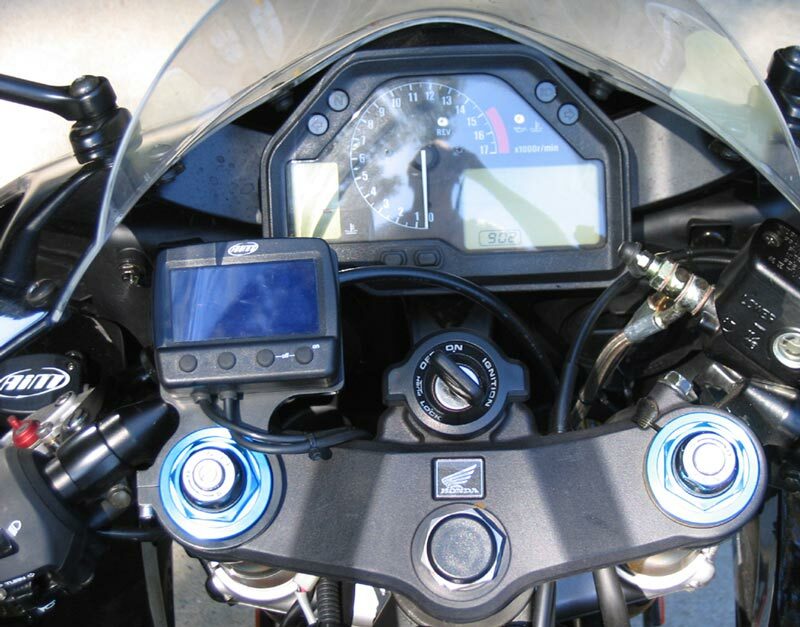 Special thanks go out to Craig Miller at Laptimer Holders, LLC for designing and developing probably the best way of mounting a laptimer to a motorcycle. 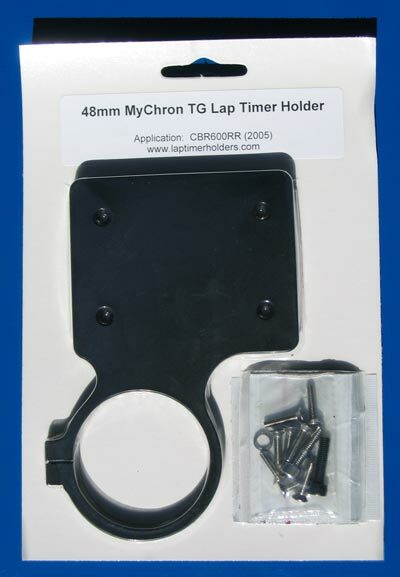 The lap timer mount clamps onto the fork tube. I need a place to mount my stopwatch for when I am testing setups on the street. Another cool product that gets this job done is the Stem Stand. I have not used or even seen one of these in person, but it looks intersting. Mounting to the top of the fork tube can be a pretty handy place to mount things like cameras, fastrack passes, and GPS units. 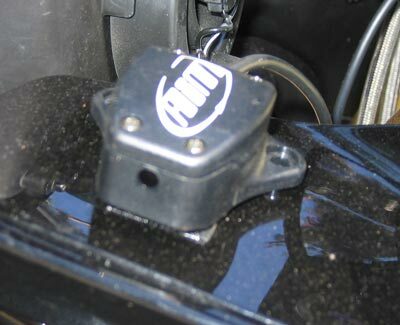 A generic steering damper clamp can come in very handy when mounted over the top clamp. Problem solver. 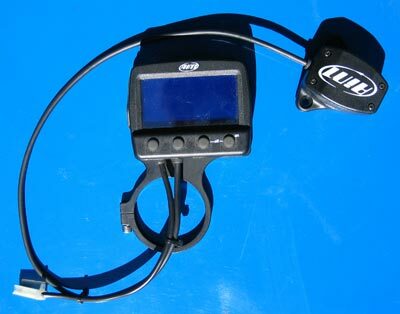 For track days, I will be running an AIM MyChron Light TG. I opted for the 12 volt version that is powered off of the bike. It is pretty nice. It has a very large graphical display. 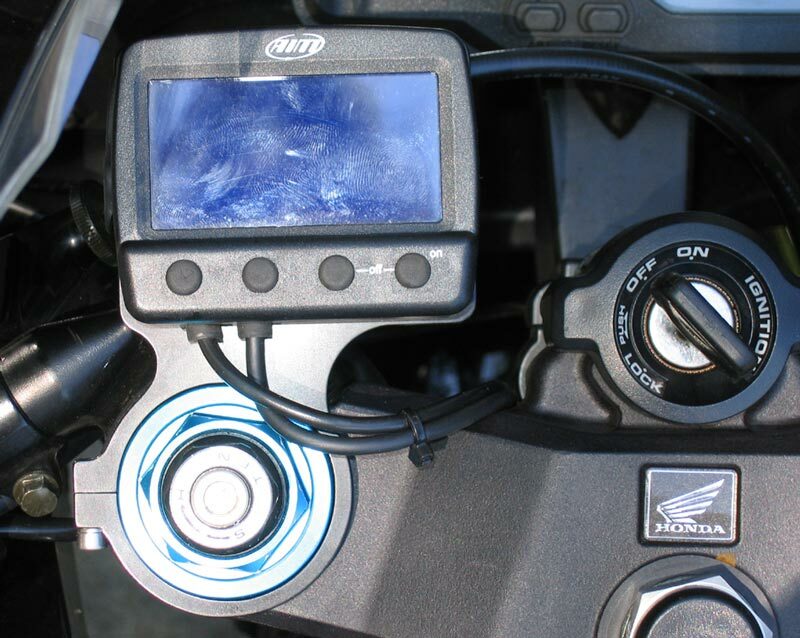 By running power off the bike, the unit has backlighting options that the battery unit does not. 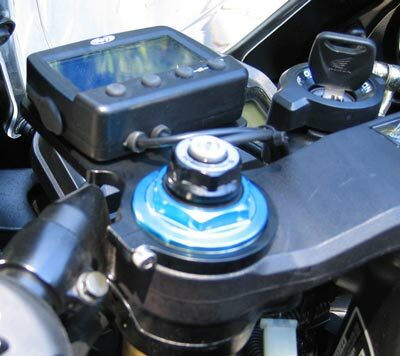 The unit does have some sort of internal battery or capacitor, so I can still take it off the bike and read times.